Help us improve the coverage of women in the arts at the Art + Feminism Wikipedia Edit-a-Thon at Cornell! For just half an hour or for the whole day, you can pitch in through different ways: Write an entry, add a footnote, translate text, upload images, or look up information for others. You can also just cheer us on and get the buzz going on social media. Everyone is welcome—no matter your gender, and regardless of experience with editing. Unfamiliar with Wikipedia? We’ll walk you through. Can’t bring a laptop or tablet? Use one of ours. If you already have women artists, writers, or performers in mind (whether cis-, transgender, or non-binary), great! If you don’t, just pick from our list. Learn more and get ready for the event! If you have questions, please feel free to get in touch with Marsha Taichman (met228) or Susette Newberry (sn18). 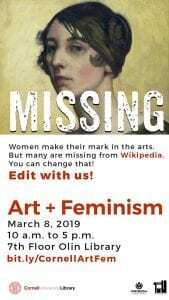 Sponsored by Cornell University Library, Herbert F. Johnson Museum, and the Wikimedia Foundation. The Library has just acquired online access to The Cambridge Companion to Literature and Disability, which addresses a new and rapidly growing area of interest within the spheres of literary and cultural criticism. Signed essays cover a wide range of impairments — including cognitive difference, neurobehavioral conditions, and mental and chronic illnesses — relative to the medieval and early modern periods, the long 18th century, postcolonialism, intersectionality, race, gender, and more. A print copy is also available in Olin Library. The New Oxford Shakespeare Online, which encompasses the content of all three printed volumes — the modern critical edition (complete works in modern spelling), the critical reference edition (complete works in original spelling), and the authorship companion — is now available to the Cornell community. 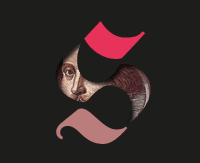 In addition to the texts of Shakespeare’s plays and verse, The New Oxford Shakespeare Online contains essays on questions of authorship and chronology, as well as links to digitized archival images related to the folios and quartos. Edited from the base-texts themselves, The New Oxford Shakespeare draws on the latest textual and theatrical scholarship and offers a number of useful features, such as the display of parallel texts and editor’s notes on a single screen; downloading pages and sections as pdfs; a “copy and cite” tool; full text searching; page navigation; and word look-ups in the online Oxford Latin Dictionary. The Illustrated London News, the world’s first pictorial weekly newspaper, debuted in 1842. The inaugural issue covered a fire in Hamburg, Queen Victoria’s fancy dress ball, the war in Afghanistan and the latest fashions in Paris. The ILN commissioned a galaxy of great artists and draughtsmen to cover wars, royal events, scientific invention, exploration, theatre, literature and the arts. In 1855 it launched the world’s first color supplement. Over the years the publication played host to distinguished contributors and continued to push the boundaries of journalism throughout its history. Now a full digital facsimile of the entire archive is available to Cornell students and faculty. The full text is searchable, and page images, which were scanned from print copies, are in full color. Access the ILN through the Library Catalog record or via this direct link: http://resolver.library.cornell.edu/misc/10295408. Clicking on the blue icon in the upper-left corner of any one volume will connect to an interface that allows searching across the entire set. Additional volumes will be made accessible to Cornell patrons as they become available. 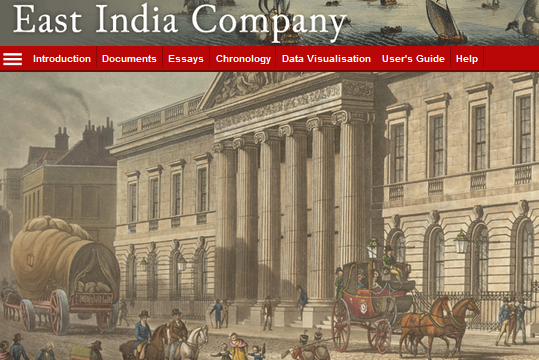 Whether you’re studying British literature in the context of colonialism or researching postcolonialism from a global perspective, the East India Company database will open up a wealth of possibilities. It provides full-text access to a unique collection of India Office Records from the British Library: royal charters, correspondence, trading diaries, minutes of council meetings and reports of expeditions, among other document types, charting the history of British trade and rule in the Indian subcontinent and beyond from 1600 to 1947. A guide detailing the contents and various searching options may be found at http://www.eastindiacompany.amdigital.co.uk/Introduction/Guide. The seventh round of the Grants Program for Digital Collections in Arts and Sciences, a program funded by the College of Arts of Sciences and coordinated by Cornell University Library, is now open for applications from faculty and graduate students. The goal is to build enduring digital resources in support of scholarly and teaching activities in the College of Arts and Science and at Cornell in general. The process does not require any technical expertise – all you need is a good idea! The application deadline for 2017 grants is March 17, 2017. Most if not all of these were heavily illustrated publications, so the visual content in particular is quite rich. 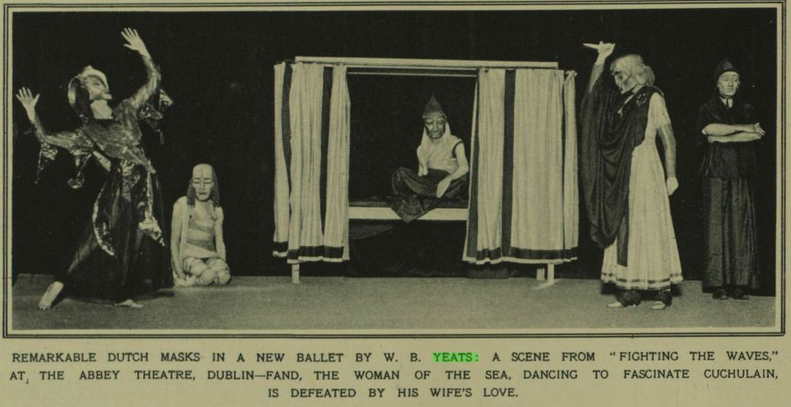 This group of publications should be an especially welcome addition for those studying 19th and 20th century popular culture and the arts in the UK. Do You Need an ORCID iD? If you are a Cornell faculty member, graduate student, postdoc, or research associate who publishes in scholarly journals, the answer is Yes! ORCID provides a persistent digital identifier that distinguishes you from every other researcher and ensures that your work is recognized by linking you to your professional activities. Unlike other research IDs, your ORCID iD is universal. It’s not tied to any institution or database, and it can follow you wherever your research takes you. More than 3,000 journals are already collecting ORCID iDs from corresponding authors. Creating your ORCID iD is easy. Go to the Library’s ORCID guide to find out how, or contact Help@ORCID at orcid-help@cornell.edu. Once you’ve created your ORCID iD, it’s easy to add your scholarly works to your ORCID record, enable automatic updates, and delegate management of your record to someone else. Be identified with the good work you do: get your ORCID iD.